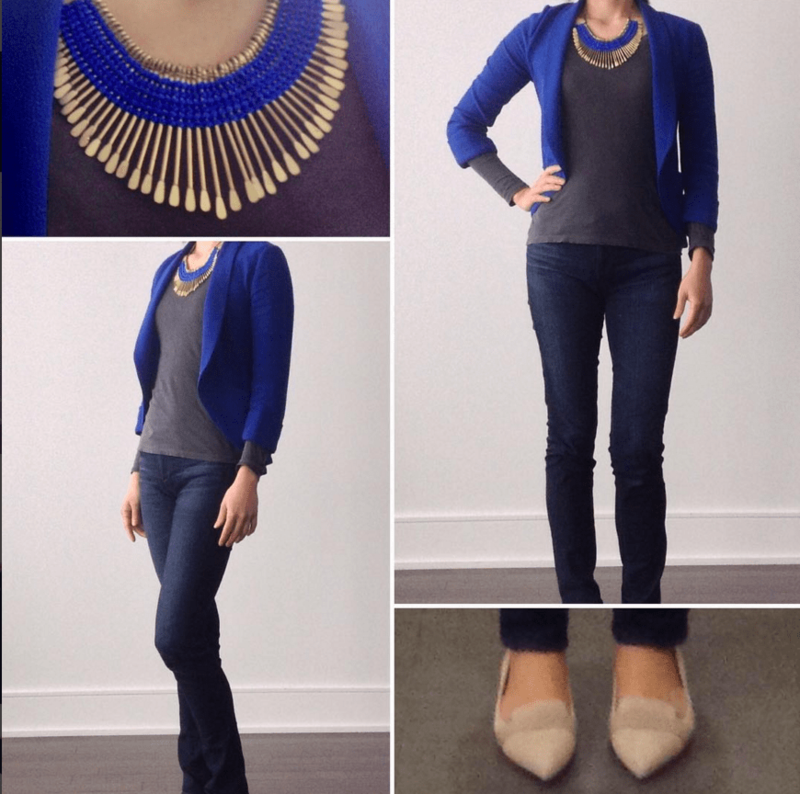 The Ideal French Minimalist Wardrobe for Women – Part Two (Style and Fashion) | Save. Spend. Splurge. Whether it is silk, cotton or a blend, or a tank top, capped sleeves or long-sleeved, you need at least one neutral coloured, simple, solid-coloured, properly fitted and comfortable shirt. It can be a t-shirt like the James Perse one I have on above, or a long shirt, whatever sleeve is your preference. You don’t need to break the bank on this, and if you buy a white shirt, don’t spend hundreds. EVER. White shirts of all price points and qualities, will ALWAYS stain and look worn out over time, and will need to be replaced. Get it fitted to your body, but slightly larger. So not SKINTIGHT. It should skim, and not show lumps and bumps. Trench, open flowy trench or a short military coat. The ultimate in this would be a Burberry trench like the one I have below. I know right? FRENCH people wearing le rosbif* brands? Funny. But really, French people recognize QUALITY, and they know Burberry makes The. Best. Trench Coats. They look stylish, chic, and deceptively simple while being waterproof in gabardine COTTON (not nylon, thankyoukindly). It looks great over any simple outfit, and adds that finishing je ne sais quoi touch to it. Buy it in a classic tan, camel, caramel or beige colour (whatever suits your colouring best, I bought mine in Honey because it was the warmest shade for my skintone), and never look back. No wild logos or emblems please. You can wear it over the cheapest outfits (or just properly thrifted, mind! ), and they look so much better with a classic trench. *Friendly (I think!) jibe Francophones use to call English folks (The Roast Beef, referring to what they eat), the way they call French people ‘frogs’. I would fit the shoulders, and try to go up a size if you are in between. It is better to be slightly larger and to be able to fit a nice sweater underneath. Any kind of flat shoes. Converse sneakers, or all-white Bensimons as is the French preference, or if you want to go more classic, try ballet flats. Repetto is the brand of choice for French women, but I like M. Gemi Bolla ballet flats. Lately, I have found that the Bloch leather ballet flat to be very comfortable. I took a gamble on a thrifted pair 1/2 a size too small (6.5), for $5 just to see if I liked it, and I LOVE THEM. I just wish I could find them in a neutral shade again. I found quite a few of them also really like the car shoe, this kind of leather moccasin that looks simple yet stylish. For M. Gemi Bollas, take half a size up, I took a 7.5. For M. Gemi Tutas, take your real size, I took a 7. For Bloch, take your real size, I tried the 6.5 and I needed the 7. 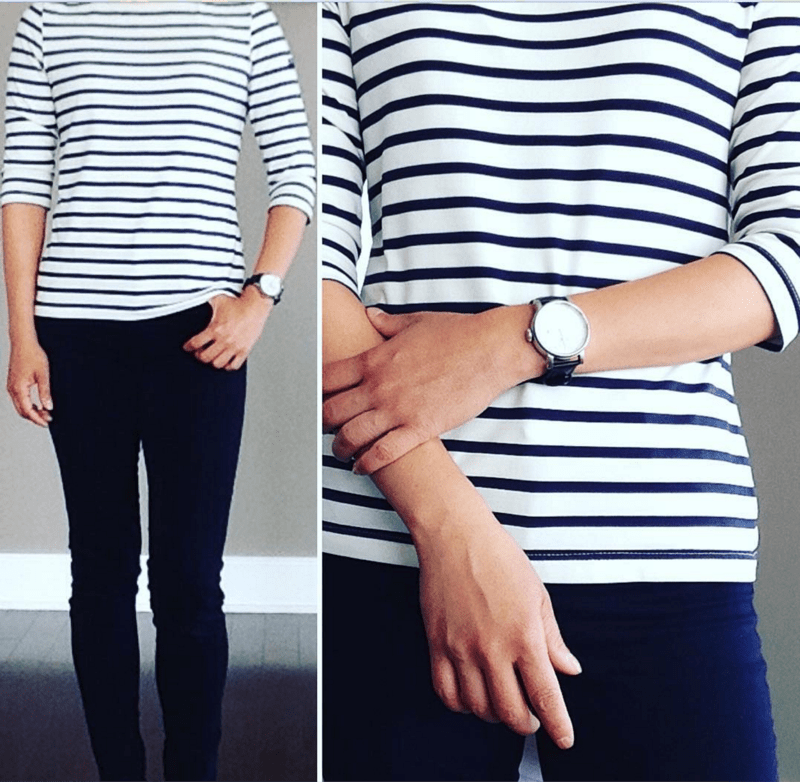 Aahhh hhahahaha… you thought I’d get through a post on FRENCH MINIMALISM without talking about a STRIPED SHIRT RIGHT? No, really. It’s a staple. The ultimate in French brands for Breton shirts is the Saint James one, shown below in Garde Cote II. If navy and white is not suited to your colouring, try red and white version, or a lighter blue and white like this one, or the opposite like navy blue and white. Take a size up. A little looser looks better than something too tight. You want it to look easy and casual, not skintight. P.S. If you liked these posts, here’s how to get a Parisian fashion wardrobe, the essentials of a Parisian fashion wardrobe, and actual capsules / looks of a Parisian fashion wardrobe.